For all intents and purposes, there have five owner/occupants of this property. The first owner was Henry Huffman, occupying the property from 1882 until 1893. The Crocker-Huffman Company utilized the property from 1893 to 1933. C. Ray Robinson and his family occupied the property from 1936 until 1974, the Dominican Sisters of Kenosha, Wisconsin, from 1974 - 1987. Jack Hooper, purchased the property in 1987. The current owners are sisters, Jana and Melinda Stewart. Charles Henry Huffman began constructing his Victorian home beginning in 1882. He and his family occupied the home until they sold his ranch holdings to Crocker interests in 1893 and the family moved to San Francisco. The home was then occupied by a series of Crocker-Huffman superintendents and their families. Mr. Huffman was born in Hoppen, Germany on July 14, 1829. He arrived in San Francisco in 1850, much as did others as part of the "gold rush". After trying his luck in gold seeking, he became a teamster. Eventually, Mr. Huffman developed a very successful freight hauling business even developing a large wagon built to Mr. Huffman's specifications (The Stockton Wagon). He hauled freight from Stockton to the mining country, especially around Sonora. Mr. Huffman then became active in farming and became one of the largest growers of wheat in the San Joaquin Valley. He was also an owner of several warehouses in the central valley to store wheat and flower. Mr. Huffman in 1959 became "town site agent" for the railroad. His job was to secure rights-of-way and the land for town locations. I credited with choosing the site for Merced and some accounts call him "the Father of Merced". In 1872, he moved to Merced and in 1882 started construction of the original Victorian home. The Huffman home burned on January 11, 1933. The cottage was construction on the foundation of the Huffman tank house. The story of Mr. Huffman is told in the book "Pioneer Genius - Charles Henry Hufman". Mr. C. Ray Robinson purchased the property and began construction of the present home in 1936. Mr. Robinson was born in Merced County on January 28, 1904. He attended Merced County Schools and attended Merced High. He then went on to attend the University of California at Berkeley and Boalt Law School at Berkeley, then served in the California Assembly for two terms. He practiced law in Merced until his death and had office in Auburn, Los Angeles and San Francisco. During World War II, he was in the Navy Jag Corps serving with Adm. Halsey in the South Pacific. He helped found the American College of Trial Lawyers and was their second president. He was active in thoroughbred horse racing - owning horses and representing the Horsemen's Benevolent Protection Association and the Jockey Guild. His father had been a cattle rancher and C. Ray ran cattle much of his life. He married Pauline Irwin on March 26, 1932. They lived on 27th Street before occupying this property. Mr. Robinson died on January 29, 1974. The property was donated to The Dominican Sisters by Mr. Montgomery after Mr. Robinson's death. The Dominican Sisters were the owner/operators of the Mercy Hospital across the creek from the house. Jack and Mona Hooper purchased the property from the Sisters in September 1987. The Hooper's were given the opportunity to match an offer for the property by a group who wanted to demolish the home and build condominiums. The home was in very poor condition when the Hooper's first occupied the property. Jack and Mona lived in the home for three years while Jack and Mona did extensive repairs, renovation, restoration and remodeling. The Hooper's were descendants of early Merced County farmers who strived to maintain farming history and the inn keeping traditions of the Hooper family since 1850. Jack was a fourth generation Merced County farmer. His maternal grandfather Jacob Jorgensen came to Los Banos from the island of Als (Denmark) in 1895 at the age of 15. His family sent him to the United Stated to avoid being conscripted into the German Army. Germany occupied this area of Denmark at the time. Jacob worked for the Miller-Lux company in Los Banos, then became a farmer (with partners Chris Schmidt and Charles Johnson) in the San Luis area (now under the water of the San Luis Reservoir). In 1908, he moved to land near Gustine, which the family still owns today. Jack started working at age 12, having a business taking care of the yards for professional baseball players. In life, he has been a university professor, a rancher, a farmer and above all, an entrepreneur. Jack was born in 1936. He attended schools in Berkeley, CA and graduated from Berkeley High in 1954. He graduated from the University of California, Berkeley, earning a BS, MS and PhD. He became a professor at Utah State University and taught at several universities including UC Berkeley, UC Davis, Oregon State, Texas A&M, Texas Tech and Kansas State. During his academic career, he was author of over 50 scientific articles. He then worked for a conglomerate which managed monies and properties for high income individuals. Dr. Hooper was a financial advisor for the composer/conductor Leonard Bernstein, and other celebrities such as Alfred Hitchcock, the Marx brothers and Baron Hilton. He worked for Adnan Khashoggi, reportedly the richest man in the world in the 1970's. And during the Viet Nam era was a Vice President of World Airways (then the largest charter airline in the world). He was responsible for management of 1,800,000 acres of farm and ranch land, and the firm had over 100,000 mother cows. 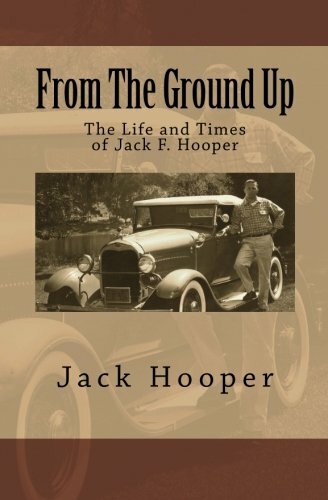 Jack had probably the largest contiguous acreage of peaches in California and at one time, was the largest producer of pickling cucumbers in the U.S. He has farmed almost every crop grown in California from apricots to pomegranates. At age 50, he designed a "portable tomato inspection station". With these stations, he and Mona handled 15% of the processing tomatoes in California. Jack and Mona bought the Robinson property in 1987. Fulfilling Mona's dream of the property becoming a Bed and Breakfast, Jack opened the inn in 2001. Mona was diagnosed with cancer in 1997 and passed in 2000, just a year before The Hooper House Bear Creek Inn had their first guest. Jack always enjoyed coming for breakfast entertaining and being entertained by the guests before his passing in 2013. In 2014, the Inn was purchased by the Stewart family. The Stewarts are an old Merced family, dedicated to keeping the tradition of charm and excellence that the Hooper family began so many years ago, as well as establishing a premier event venue.